A multi-media, human-interest – heart-felt presentation dedicated to the preservation of our world’s oceans, it’s beauty, its soul and its importance. Often introduced as the Whale man, the Kayak Man, the Jane Goodall of the sea, and a Master Story Teller, Richard Roshon will share his life & travels upon the worlds oceans, focusing on his home of Hawaii, geographically the most isolated chain of islands in the world. However, isolated as Hawaii may be, what happens in other parts of the worlds oceans certainly has an affect on the surrounding waters of the Hawaiian Islands, for nature has no boundaries, we are all connected. 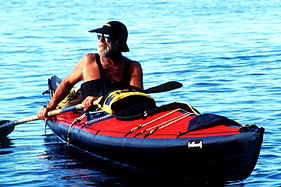 Richard’s multi-media, human-interest programs include more than 35 years and over 30,000 logged miles of observing marine life surrounding the Hawaiian Archipelago, all from the cockpit of his ocean kayak. Richard’s presentation, through images and film, places you in the cockpit of his kayak while North Pacific Humpback whales lie by his side. His narrative is informative and his film, inviting. 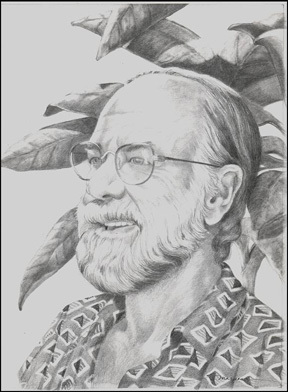 Richard’s passion and dedication to the protection and respect for our natural surroundings is unending. 1999 Guest Speaker - Whale Festival. Guest Speaker - "Celebration of the Arts"